We will make sure that you are able to fly unconcerned. International Aviation Support is EASA Part-145 and FAA approved and the offered services comply with all applicable standards. In addition to regular inspections, repairs and replacements, also modifications are carried out in a professional manner. Examples of modifications are: avionics upgrades, Diesel/Jet-A1 conversions and STC’s for the improvement of performance, reliability or ease of operation. With our highly experienced staff and locations from north to south, we are always there to assist you. 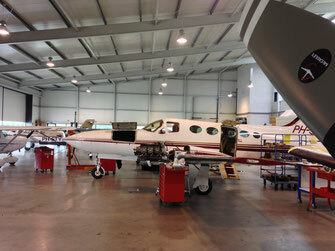 AERO Assist is a joint venture between International Aviation Support and Post & Dros Aircraft Engines. Under International Aviation Support’s EASA approval, the engine shop is fully EASA certified and with the cooperation with Post & Dros, the shop benefits from decades of experience in the automotive racing engine industry. AERO Assist is located in Dronten, which is a 15 minute drive from our Lelystad Airport facility. 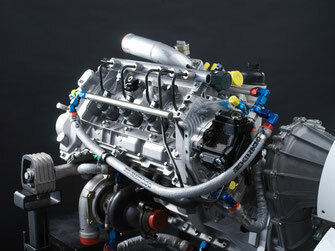 International Aviation Support and AERO Assist offer a full service, care free engine overhaul package. Everything can be arranged through a single point of contact. Services include aircraft pickup and ferry to Lelystad or Teuge Airport, engine removal from the aircraft, the actual overhaul, engine installation, rigging, adjustments and tests, check flight and return ferry flight. With our single point of contact concept we minimize the amount of separate companies and teams working on your aircraft. Apart from some NDT inspections, every step is done in-house and under our own quality system, which is a guarantee for high quality results. Because AERO Assist has a vast range of state of the art equipment and machines at its disposal, major engine repairs can be done in house, including the overhaul of cylinder assemblies, machining of valve seats to factory specs, valve guides replacement and cylinder honing with our Sunnen CK10 honing machine with special honing head. For more information about our engine repair & overhaul services or to request a quotation, please visit the website of AERO Assist www.aeroassist.nl.